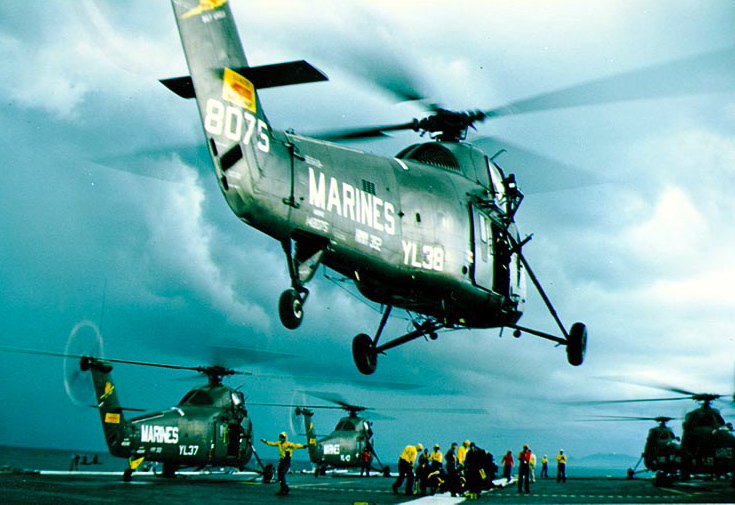 Photo: Sailors and Marines conduct flight operations off of Vietnam, 1966. Credit: USN. How can you help? In lots of ways. First, since we don’t charge the participants, we need financial support for the program. Websites, legal and accounting fees, program materials, travel, etc., all add up. VWP is a 501(c)(3) non-profit. You can support us through a secure, tax-deductible donation. Just click here to use your credit card, or you could send a check to the address below. If you shop at Amazon.com you can join the Amazon Smile program and for each purchase you make, Amazon will make a donation to the VWP. This costs you nothing, the support is provided by Amazon. Just go to smile.amazon.com and login with your regular Amazon account information. You’ll be prompted to select a non-profit or charity: choose the Veterans Writing Project. It’s that easy, just remember to make your purchases through the Amazon Smile link. Also, you can spread the word about our work, especially to veterans and family members who might want to participate. If you’re interested in sponsoring or attending a VWP seminar, contact us at the addresses below. We’re on Facebook. Click “like” on our page and you’ll automatically receive our updates. We’re also on Twitter. Follow us to receive our updates in 140 characters or less. Finally, you can read our work. Go to O-Dark-Thirty.org and read stories by and about the men and women who have served and their families.